The health information technology (HIT) field has grown tremendously in recent years, driven primarily by the HITECH Act which provides federal funding to hospitals to adopt and meaningfully use electronic health records (EHR). Ideally, EHRs should be used in part to empower patients with information that helps them make the best decisions for their own care. However, few have been designed with this goal in mind. Many health care providers have launched online “patient portals” that improve access to information. However, the patient must be proactive, must know how to navigate the website, must remember their username and password, and once they are logged in, the information they see is often static. It includes results from their lab tests showing they have high cholesterol, but doesn’t include links to information showing them how to reduce it. For patients with chronic conditions, adherence to prescription drug therapies has been shown to reduce costly inpatient and emergency room use and avoidable readmissions. CVS recently announced a partnership with health systems whereby EHR systems will be integrated to improve cross-systems coordination. This integration will allow for creative, innovative approaches to increasing adherence to prescription drugs. Patients with dementia could opt in to receive automated text messages to remind them to take their medications. EHRs can flag the records of patients who fail to consistently refill their prescriptions so that care management teams can intervene before a hospitalization becomes necessary. When a medical intervention includes a preference-sensitive choice between multiple options, hospitals can assure that care aligns with the wishes of the patient by making greater use of decision aids and shared decision making. When such a choice exists, EHRs could automatically email the patient with links to YouTube videos and other educational materials to aid in their decision and assure maximized patient autonomy. The Clevland Clinic’s YouTube channel has been a leader in this, with views measured in the millions. Hospitals and insurers can use social media websites like Facebook, Twitter and Instagram to educate and inform patients about new programs that expand access to care, changes to eligibility and other relevant information. By microtargeting their audience, they can reach out to specific populations, thereby increasing their cultural awareness and sensitivity. The use of social media also helps hospitals build loyalty behind their brand. A 2012 Price Waterhouse Cooper report shows that 41 percent of consumers use social media to select a specific health care provider. However, a successful social media initiative should keep a few rules in mind. First, in order to build brand loyalty, a hospital must do more than simply advertise. Given the competitiveness of many health care markets, health systems must demonstrate value and a focus on the patient in their use of social media. Strategies for successful patient engagement through social media need to be driven by what patients want as much as they are driven by the communications strategy of the organization. Second, in order to achieve patient-centeredness, social media strategies must be aligned with the mission, vision and values of the organization. The Mayo Clinic is widely recognized as being a leader in the use of social media with over 500,000 Twitter and Facebook followers. Their success results from them using social media to meaningfully engage and empower patients. Third, the social media strategy must be supported from the leaders at the top of the organization as well as within the culture of the doctor’s office. Too often, the task is delegated to an organization’s communications department and does not become an integral part of the patient experience. 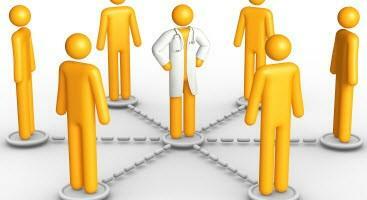 Social media is a powerful tool that can supplement the patient / physician relationship. Its value can only be realized when the physician – and the CEO – are bought into the strategy. Lastly, since the HIT industry is still in its infancy, successful social media strategies require a health system to embrace innovation and be willing to experiment. Barriers must be confronted – not run from. Patient privacy must be respected and opt-in mechanisms need to be adopted. EHR systems require updates to allow for interoperation and greater patient engagement. Most EHR systems aren’t capable of hosting links to individual patient Facebook and Twitter accounts. Forward-thinking providers will work to align their EHR systems with their social media and mobile technology strategies to create powerful tools that improve patient engagement, education and experience. Author: Brandon Danz, M.P.A., is special adviser to the Secretary of the Pennsylvania Department of Human Services and an ASPA member. He is a graduate of the master of public administration program at Shippensburg University of Pennsylvania. Danz is seeking a master of health administration degree from The Pennsylvania State University, Harrisburg, with a focus on health care policy development and cost containment. Danz can be reached at www.linkedin.com/in/brandondanz.